Rocky River, Ohio — Cold weather was no problem, that is, if you ask Rory Zakareckis. The junior pitcher threw 113 pitches, struck out a dozen batters, and walked just two, on the way to pitching a no-hitter in Lutheran West’s 9-1 victory over John Marshall. Lutheran West got things started early and often against John Marshall sophomore pitcher Edgar Montilla. The Longhorns jumped on the board with a sacrifice fly by junior Owen Albers, and added two runs to take a 3-0 lead. Lutheran West then added three more in the second, and another in the third, to take a 7-0 lead. “We got what we expected out of our pitcher and our hitters. Rory did what he needed to do and the team did what they needed to do.” said Lutheran West head coach Trey Lamb. But John Marshall would not go down quietly. Junior third baseman/pitcher Devyn Ellis broke up Zakareckis’ perfect game in the fourth, and eventually came home from second on a dropped fly ball hit by senior Billy Ritter, giving John Marshall their only run of the game. “Devyn (Ellis) is a ballplayer. He kept us in the game.” said Jade Boettcher, the first-year head coach of John Marshall. Ritter’s fly ball looked to give the Lawyers momentum, but Brandon Gonzalez grounded to third baseman Owen Albers, who made a fantastic diving play, then getting up and throwing to first to end the threat. 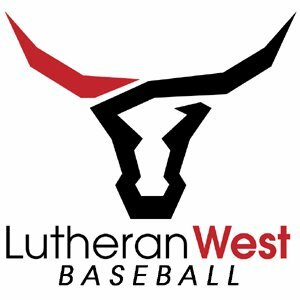 Devyn Ellis pitched 4 1/3 innings, 3 1/3 of them scoreless before three consecutive errors gave the Lutheran West Longhorns two more runs. Zakareckis then closed the door in the seventh to secure the victory. 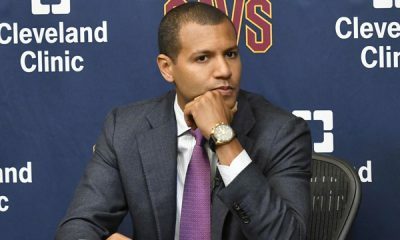 “I felt good the whole time. I know when I’m pitching, I can count on the offense to give me good hitting. It means a lot to know I have their trust and I can go out there and pitch as best I can.” said Zakareckis. Despite the loss, the John Marshall head coach was proud of team, but added that they had a lot to work on. Lutheran West improves to 2-0 and travels to LaGrange to take on Keystone Thursday. John Marshall drops to 0-1 and plays Max Hayes on April 4th.